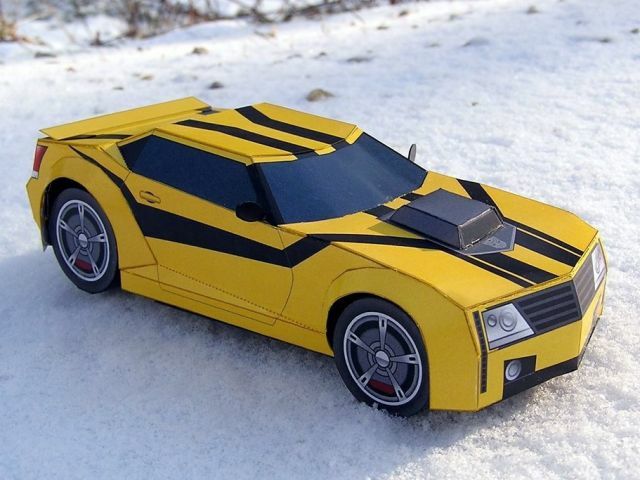 This paper model Urbana 500 (a fictional car based on a Chevy Camaro) is how the Transformer Bumblebee appears when in vehicle mode in the computer animated TV series Transformers Prime. The template for the model was created by ProjectKITT and may be downloaded here. 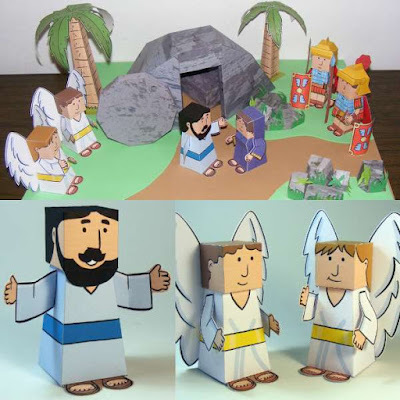 Template options include Pepakura PDO and PDF along with a blank, color-it-yourself version for each template format. Transformers Prime premiered in 2010. The show's third and final season wraps up later this year. Love your Bumblebee car but can't seem to open the link. Would like to make them for our school's tenor evening to display on the tables. Could you please help me?